We know how important pets are and how big a part they play in our everyday lives. We also know that they can very often be in vehicles when they break down. Here we have answered the most frequently asked questions about pets involved in breakdown situations. Does the RAC attend broken-down vehicles carrying pets? Yes, we will always attend. If your vehicle can’t be fixed at the roadside, we may have to recover it. In this case we have to consider whether it’s safe for the pets to travel in the recovery vehicle’s cab or in your vehicle if it’s being towed or moved on a recovery vehicle. 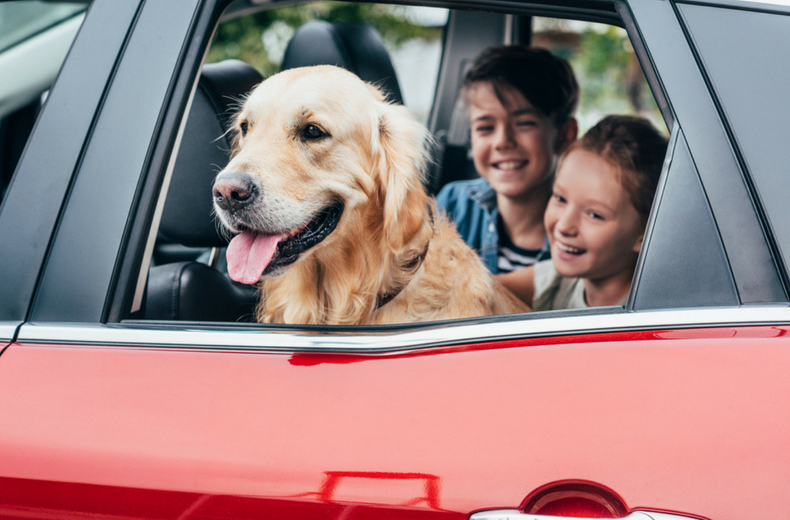 When calling the RAC for breakdown cover assistance, we recommend you inform us if you have any pets in the vehicle. Can my pets go in patrol or recovery vehicles? Pets can travel in patrol or recovery vehicles at the discretion of the patrol/recovery operator and their owners, but solely at the owners’ risk. This means that although animals, such as dogs, will normally be transported without question, the patrol/recovery operator has the right to refuse to transport any animal in their cab. Why would you refuse to take a pet in a cab? The patrol/recovery operator is responsible for the safety and comfort of all who are travelling, as well as future passengers and other road users. This could happen if a dog is distressed or difficult to control and the patrol/recovery operator becomes concerned that it may be a safety risk, especially if it may cause a distraction whilst driving. He or she might also be allergic to that particular animal. The number of passengers and pets may also be a consideration as there may not physically be enough room in the cab for everyone. We also have to ensure the pet can be moved safely to our vehicle, without a risk of it breaking free and causing an accident. Can my pets stay in my broken-down vehicle while it’s being recovered? Yes. If for some reason your pets can’t travel in the recovery vehicle’s cab, then they can stay in your vehicle while it’s being towed or moved on-board a recovery vehicle as long as you and the operator are happy from a safety point of view. What about assistance dogs such as guide dogs and hearing dogs? Unless there is a safety issue, assistance dogs such as guide dogs for the blind, ‘hearing’ dogs for the deaf or dogs for the disabled will always be transported with their owners. Will my pets be insured? The RAC will not insure animals in transit other than assistance dogs such guide dogs for the blind, 'hearing' dogs or dogs for the disabled for the deaf which will be covered by RAC insurance as any other passenger would be. 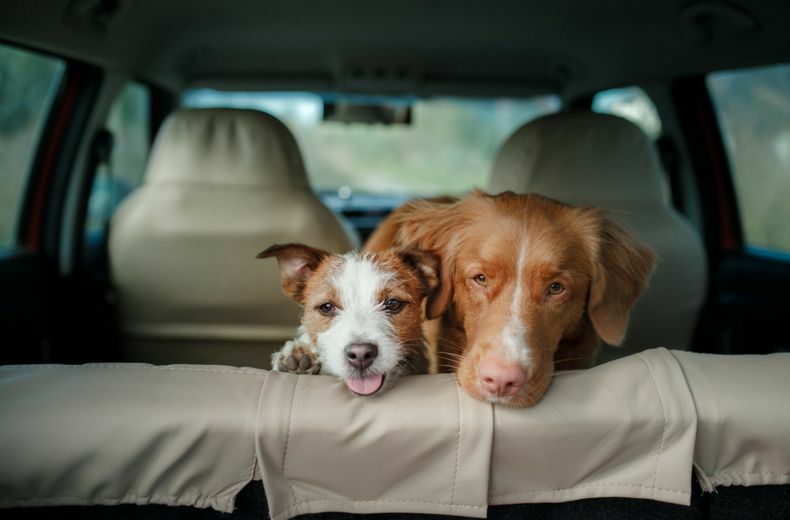 What should I do if breakdown on the motorway and have pets in my vehicle? In a motorway breakdown the Highway Code states that you must leave any animals in the vehicle or, in an emergency, keep them under proper control on the verge (Rule 56 of the Highway Code interprets this as being on a short lead and under control). READ MORE: Who’s right in these 10 cases of dodgy etiquette? Please see our motorway breakdown advice page for more information.